Israel's government will award grants to GE Health, Medtronic, and Change Healthcare to support the expansion of their research and development centers in the country, according to a Tuesday announcement. The six-year program is headed by the Israeli Ministry of Economy and the Israel Innovation Authority, the government's tech investment arm. The three healthcare multinationals were chosen out of several companies that applied for the tender. In March, the government announced a national plan with a five year budget of $264 million (NIS 922 million), intended to promote digital health. Nashville-headquartered Change Healthcare offers software, analytics, network solutions and technology-enabled services to various players in the American healthcare system. The company's Israeli center, established in 1993, employs around 100 people who develop information and monitoring systems for the cardiology industry. The company will receive a grant of NIS 20 million (around $5.5 million). General Electric subsidiary GE Healthcare, an international manufacturer and distributor of medical devices and agents, reported revenues of around $19 billion for 2017 and employs some 54,000 people globally. The company set up local operations in the 1990s following several acquisitions, the latest being the assets of Orbotech Medical Solutions Ltd. in 2011. GE Healthcare employs over 400 people in Israel in four locations, and intends to use its NIS 50 million (around $13.8 million) grant to hire 100 additional employees and expand its offices in two locations. In April, Calcalist reported that General Electric and Basel-based pharmaceutical company F. Hoffmann-La Roche AG are considering the possibility of setting up a joint subsidiary in Israel that will operate a research and development center. Medical device maker Medtronic PLC, which reported revenues of almost $30 billion in 2017, employs over 90,000 people worldwide. In Israel, the company employs some 800 people in several locations. The company will also receive a grant of NIS 50 million, which will be used to establish a development center for laparoscopic surgery visualization systems. 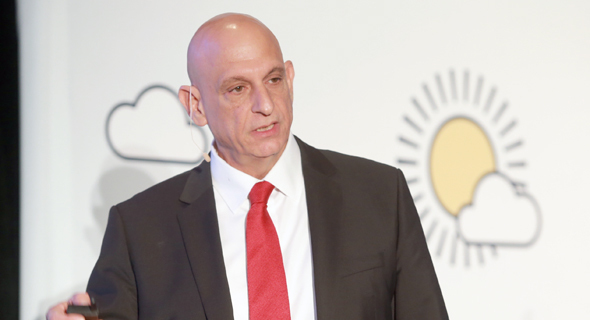 The program is intended to accelerate the biomed industry in Israel and increase its multinational aspects while also building up local experience, said in a statement Aharon Aharon, director of the Israel Innovation Authority.